London Luton Airport is now playing a key role in the economy of the region, and obviously, its development is inevitable. At present, five Luton airport hotels on site are operating in the area, to cope with the airport’s tremendous passenger flow, which is already near 10 million travellers a year. All these hotels are situated within a ten minutes’ walk distance to the single Luton terminal. Due to the fact that the Airport is just a couple of miles away from the centre of London with plenty of hotels there, every passenger should be able to make an informed choice of the hotel in LLA and we are going to facilitate it. The first thing you should know is that the room rates are mostly cheaper at the hotels in Luton Airport at weekends and during the winter if considering seasonal price fluctuations. 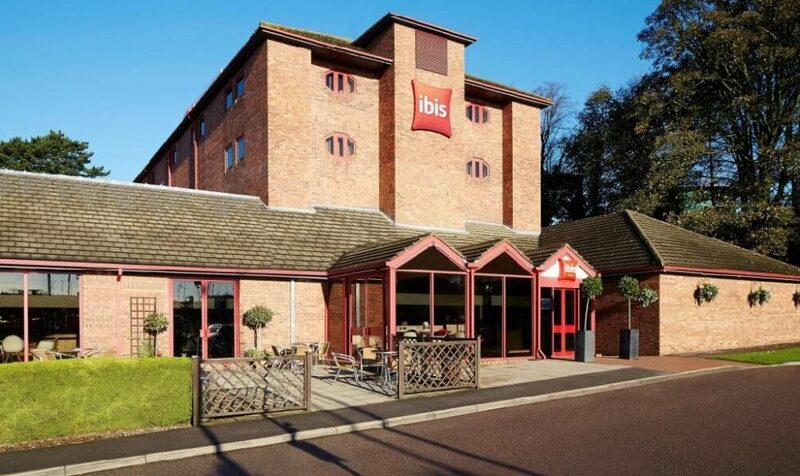 If you need close proximity to the terminal – stay at Ibis, Ibis Budget, Courtyard by Marriott, Holiday Inn, and Holiday Inn Express Luton Airport. All of them have a proper approach road, though not sheltered, and a pathway suitable to rolling suitcases. You can also use the public bus service. Within about a £10 taxi ride of the airfield, you can find a good choice of the modern, mainly new, chain hotels, like Premier Inn and the Hampton by Hilton. 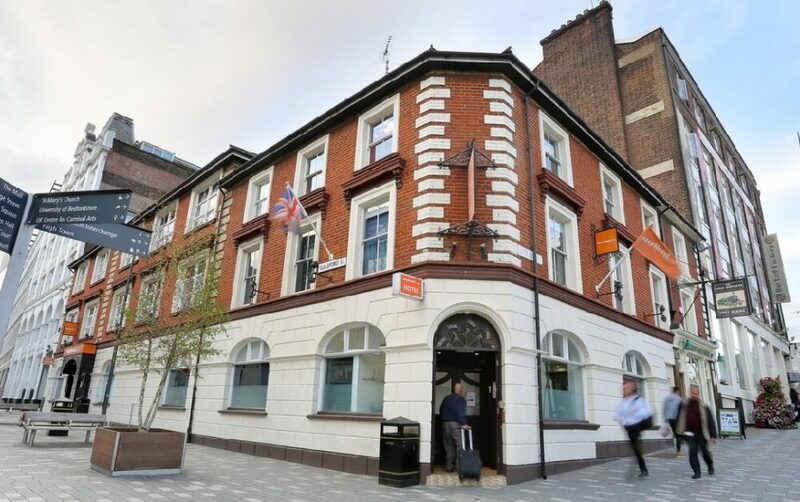 Looking for the cheapest option you should go after the easyHotel Luton in the heart of the town near the main railway station and shopping centre. We want your holidays or business trips start with an easy and pleasant booking experience, so we provide some more detailed information about each hotel below. The waymarks to ‘hotels’ are all seen after you have followed the exit road out of the airport through a short tunnel under the aircraft taxiway. Luton Airport Premier Inn lies midway between LLA, just a mile away from it, and the centre of Luton, not far from the parkway station. 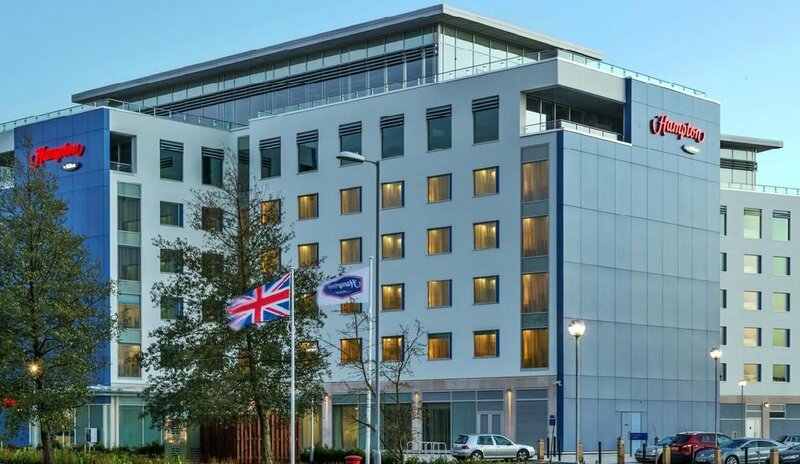 This Luton airport hotel is close to Luton Parkway Station where you can get a regular shuttle to the airport terminal or take a taxi at about £8-£9. The car parking facility is available and free for those who stay overnight and costs £5 for 24hrs. It, in fact, makes this hotel ideal to spend a night before the flight. 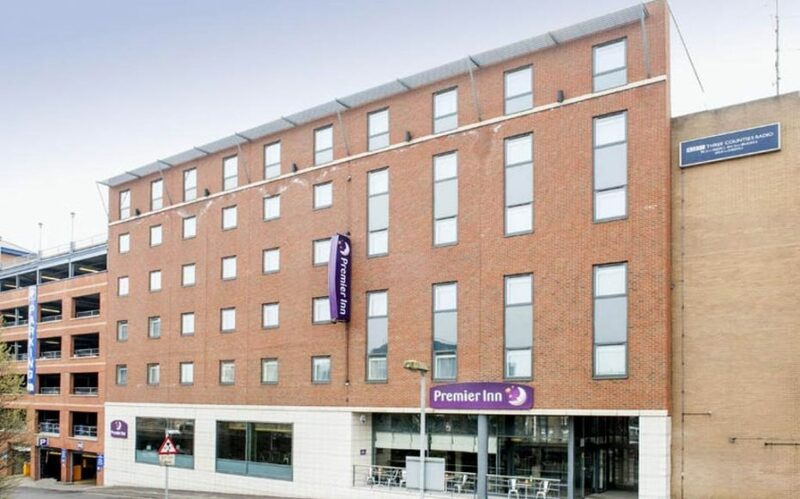 At Premier Inn Luton Airport in Luton, you can find everything you need for a comfortable stay. The rooms have loo, bathroom, fan, tea/coffee maker, telephone, air conditioning, iron, work desk, TV, and alarm service. The complimentary Wi-Fi is available in all the hotel areas. However, room service is not included. The breakfasts are offered to the guests with a wide continental selection, cooked items, and even vegetarian sausages. A Beefeater pub-restaurant keeps its doors open to the visitors on the grounds of the hotel and has a varied menu to satisfy every visitor, looking for a substantial meal or just a snack. Besides, multiple restaurants, pubs, and fast food facilities located nearby can cover all budgets and tastes. The average room rate at Premier Inn is £50, it may be flexible depending on the booking time and options. The hotel is one of the closest hotels to Luton airport passenger terminal. LLA Holiday Inn offers the visitors the first-class modern accommodation with superior facilities in a prime location. This hotel near Luton airport contains 124 warm and air-conditioned bedrooms, mini gym for the visitors, comfortable lounge, and bar as well as the Kitchen & Grill restaurant with A La Carte menu, where kids can eat for free. In addition, meetings, training, and conferences can be comfortably held here for up to 100 delegates. 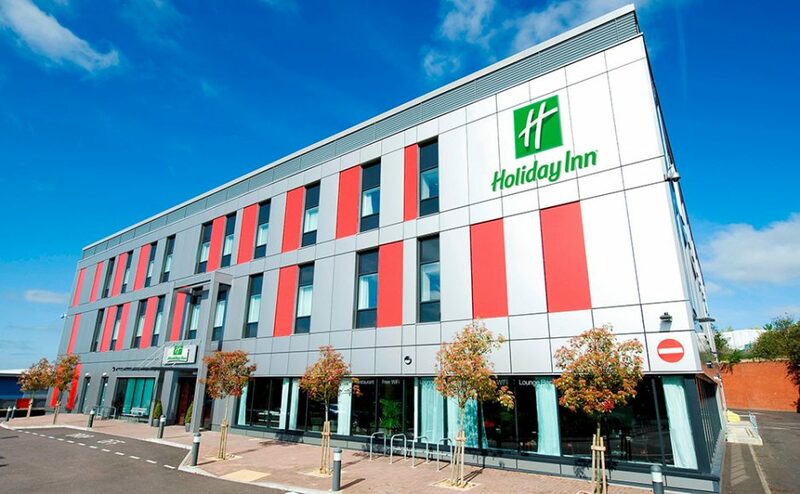 Secure parking is guaranteed for all the guests of Holiday Inn London Luton airport independently of the purpose of their visit. The free Wi-Fi is available all over the hotel. The minimal room rate for one guest and one night is £40. Among all the hotels near London Luton airport Luton Hoo, which is just in 10 minutes cab ride, boasts a striking location among the parkland. 35 rooms are offered to the guests in the mansion house and 193 more in the Parkland, Flower Garden, and Clubhouse. The rooms contain traditional furniture, minibars, coffee, tea-making facilities, TV, and Wi-Fi. The restaurants Wernher, Adam’s Brasserie, or The 19th offer their guests various meals for any taste. The hotel Hoo of Luton airport offers facilities and access for the guests with disabilities and additional services for families, like free bikes or adjoining bedrooms for travellers with children. 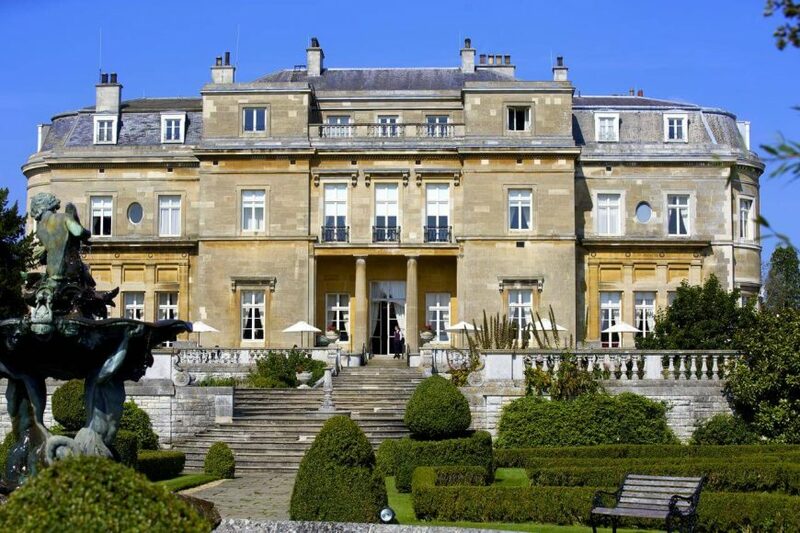 And beside that, Luton Hoo offers first-class spa and indoor pool, heat therapy suite, treatment rooms, nine-hole golf course, and clay pigeon shooting lessons to anyone interested in the services. The room rate starts from £170 – WiFi, breakfast, and full spa use are included. Hampton by Hilton is a hotel at Luton airport, which presents comfortable rooms for the travellers catching early-morning flights. It is located next to the LLA Parkway station and a shuttle bus to the terminal can easily be caught here. 188 rooms of this hotel have all modern conveniences (shower, bath, hairdryer, iron, HD TV, MP3 alarm clock radio, tea and coffee making facilities) and well sound-proofed. There are rooms for disabled guests and family-friendly facilities. A 24-hour bar and a restaurant serve full meals until 10 pm and offer snacks and drinks to the visitors round the clock. The room rates at the Hilton Hotel at Luton airport start from £59, including breakfast, Wi-Fi, and gym access. Luton airport hotels mostly suggest budget and mid-priced services to their visitors keeping with the LLA budget air carriers. So it’s not a problem to find an affordable hotel to stay in a comfortable atmosphere on site or in the town, which is quite close to the airport. One of the affordable hotels at Luton airport with onsite parking is the Ibis Budget Hotel, located just in 10 minutes’ walk from the terminal of LLA. It makes it an ideal option for pre- or post-flight stays. The hotel combines refreshingly modern public areas design and functional use of space in the bedrooms. 162 rooms of Ibis Budget are clean, spacious, with comfortable beds, and minimal furnishings. The room rate starts from £35. Four meeting rooms are offered for business purposes. The lower floor comprises a spacious cafe, lounge, and bar area. WiFi is free and available all over the hotel. Four accessible bedrooms are offered to guests with disabilities. Families can request family bedrooms, cribs in the room or connecting rooms. Holiday Inn Express can by right be called the closest hotel to Luton airport. It can be found on the other side of the aeroplanes apron. Luton Airport Holiday Inn express is separated from the terminal by a tunnel, going underneath a taxiway. It is one of the Luton airport hotels with shuttle service that operate 24/7, the buses run every 20 minutes, and the single fare is just £1.20. The 147 rooms of the hotel have such common features as TV, free WiFi, bathrooms with own-brand products, and tea and coffee-making facilities. Eight rooms feature wide doorways as well as accessible showers for visitors with disabilities. The under-18s sleep free when sharing a room with their parents. The room rate at LLA Holiday Inn Express starts from £39 per night, breakfast is included. Car parking costs from £10 for guests overnight, long term packages are also available at special rates. Though EasyHotel doesn’t belong to Luton hotels near the airport, you could not be better placed for a quick getaway from LLA on a budget. The 58 hotel non-smoking rooms are of different sizes, some having windows and some – don’t, but each has shower room, TV, heating, cooling, and fresh air circulation. The hotel is situated between the rail station with regular trains to London and the main town’s Mall Shopping Centre. It’s also close to local buses running to Luton Airport. A shuttle service is not offered to the guests, but a short taxi journey to the airport is quite affordable – around £10. The room rate starts from £20.99, no parking service is available onsite, but public parking is possible without prior reservation for about £8 per day. Long term parking packages are offered to the guests of EasyHotel at the extremely attractive rates. No matter which of the London Luton airport hotels you will choose, your stay there will definitely become a pleasant and comfortable point in your journey.